Allergies are like any ailment, they can strike whenever and it's not uncommon for allergies to sprout up for the first time in adulthood. Many individuals think that they cannot acquire allergies that they have not experienced before, but it is possible. While we're born with a genetic predisposition to either have or not have certain allergies, the less you’ve been exposed to allergens as a kid, the more likely you may be to develop allergies as an adult. Many experts point to recent environmental changes like higher temps and increased CO2 levels as reasons that we may have greater amounts of pollen and other allergens in the air than ever before. Another reason you may get allergies later in life is if you move across state lines. In this case, you're bound to be exposed to a whole slew of potential allergens that your body hasn't encountered before and your immune system doesn't know what to do with. Numerous people were not tested and diagnosed with an allergen when they were kids and now becoming more aware of their allergies as adults. Ragweed season begins in August when it first blooms and releases pollen; the season may last until November, with peak counts usually occurring in September. 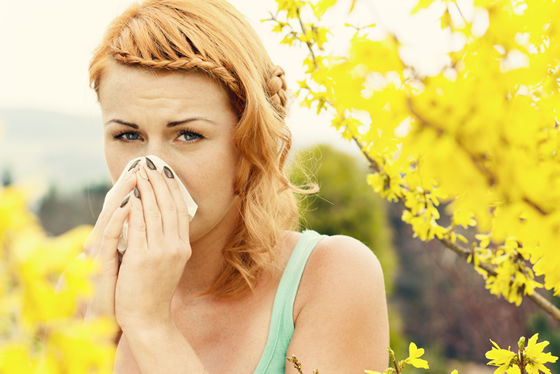 This tends to be a time where adults start realizing when something is not normal with their allergies. If you suspect allergies, please visit Advanced ENT and Allergy at www.AdvancedENTandAllergy.com. Relief is just a phone call away.